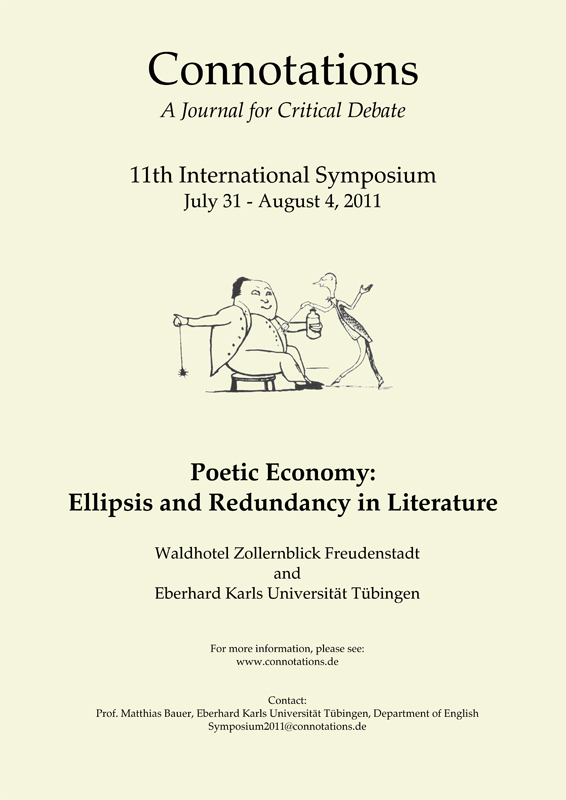 “Poetic Economy: Ellipsis and Redundancy in Literature” is about a seemingly contradictory topic: how can literature be both, elliptic on the one hand and excessive and redundant of words and other elements of language on the other? One way of resolving these apparent contradictions would be to consider the question of “too little” or “too much” not in absolute but in relative terms. An aphorism may have too many words and a Victorian novel may lack the very words needed for a reader to regard it as a success. But this leaves us with the tricky question of decorum: what is the idea or purpose to which a particular number of words is appropriate and by which we measure the verbal economy of a literary work of art? The venue was be a beautifully situated hotel in the Black Forest (near Freudenstadt), which is partly owned by Tuebingen University (see http://www.zollernblick-lauterbad.de). 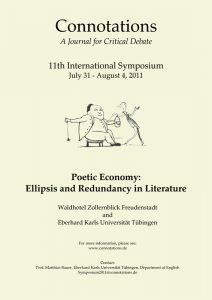 As the emphasis of the Connotations symposia is on critical debate, talks were be 30 minutes, leaving another 30 minutes for discussion.